Check out the below update regarding Dynamics 365 in Customer source. Dynamics 365 – Enterprise Edition will be available as the Enterprise cloud ERP starting 1st November, 2016. Ongoing updates to the cloud ERP service will be releases, like any other Microsoft Service gets updates. Along with the Microsoft Dynamics AX (AX 7), Check out some of the other significant offerings in Dynamics 365 – Enterprise edition. which are Dynamics CRM online, Common Data Model, Microsoft PowerApps, Microsoft Flow etc. and evaluate what they could mean to you. With Dynamics 365, customers will have the option to either adopt the cloud , or for customers willing run the ERP in their own data centers, they will have the option of a Hybrid cloud deployment (Important Note: The availability of the Hybrid cloud is still TBD and dates are yet to be confirmed by Microsoft). Good news is, customers willing to run their operations in their own data centers will still have the power to connect to the cloud services such as PowerApps, Flow, Power BI, IoT and more. Mainstream support for Dynamics AX 2009 available till April 2018. Mainstream support for Dynamics AX 2012 R3 available till April 2021. Microsoft PowerApps, Microsoft Flow, SharePoint and Dynamics 365 working together, No coding required!! 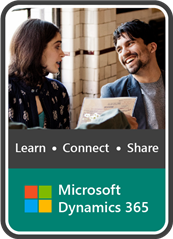 Dynamics 365 For Talent Management, What does it offer ? How does it help your Organization to attract the best talent !! Experienced professional, with a demonstrated history of working in the information technology and services industry for over 12 years. Proven technology leader and expert with excellent track record of working with customers in multiple industry domains, specifically in the professional services industry , helping them with strategic vision for their digital transformation and ERP implementation initiatives . I am skilled in Dynamics 365 for Finance and Operations, Dynamics 365 For Talent, Common Data Services, Microsoft PowerApps, Microsoft Flow, PowerBI, and 3rd party systems integration. I carry unique functional, technical and leadership skills and abilities, helping build high performing teams and delivery excellence and drive optimum customer satisfaction.